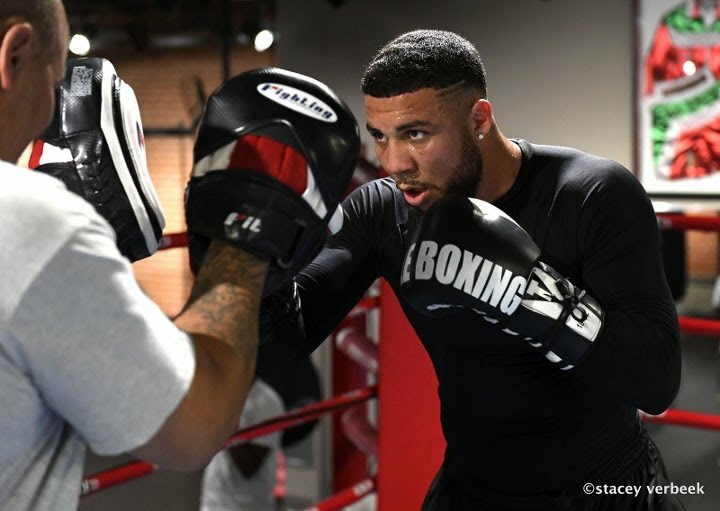 Uprising Promotions light heavyweight Samuel “Main Event” Clarkson (19-4, 12 KOs) has used the past few months for reflection and adjusting certain components of his preparation, and the refocused Texas native looks to bring a new demeanor when he soon makes his return to the ring. The April bout that Clarkson mentions was an interim WBA Light Heavyweight championship fight against Dmitry Bivol, which brought a close to a nine-bout winning streak. Relatively unknown when Clarkson stepped up to fight him, Bivol has since climbed to the top of the light heavyweight rankings and will face Trent Broadhurst on Nov. 4 for the vacant WBA Light Heavyweight Title. Clarkson, 27, is a man who has been counted out before, and he has proven the doubters wrong repeatedly throughout his career. Amid his previous nine-bout winning streak, he entered the ring as the “b-side” fighter and emerged victorious against the likes of former world title challenger Cedric Agnew (decision win), as well as then once-beatens Jerry Odom (TKO-3) and Lavarn Harvell (TKO-2) on ShoBox: The New Generation. Both unfortunately and fortunately, boxing is a sport that brings on heavy support when a fighter is winning and clears out plenty of people after a loss. Clarkson notes that his fight with Bivol helped him find out who was truly supporting him. Negotiations are currently underway for Clarkson’s return to the ring, which is expected to occur sometime in October or November. Make sure to keep it locked to UprisingPromotions.com and @UprisingNYC for all of the latest on Clarkson and Uprising Promotions. Previous boxing news: Danny Garcia vs. Brandon Rios in the works for Dec.